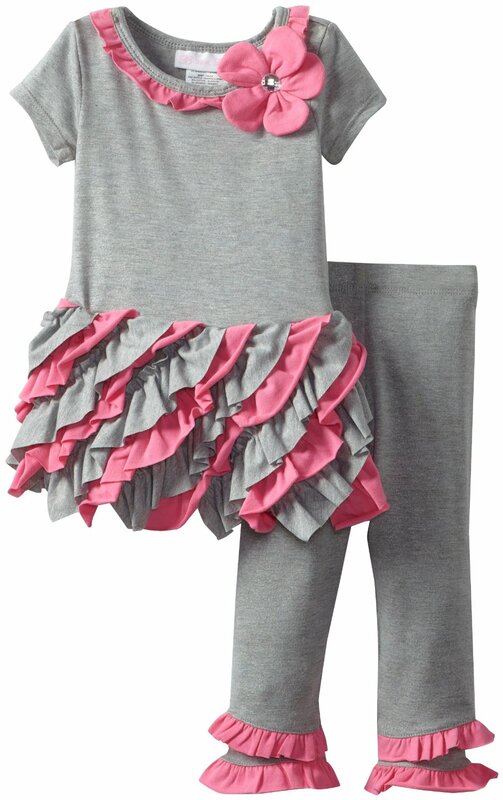 Pink and grey knit legging set with grey short sleeved tunic and incredibly detailed and full rich pink and grey attached ruffled tutu. Matching grey legging trimmed with pink ruffles. Machine wash.